Somewhat unusually for an elaborate Mehndi celebration, Sunitha and Srindhar’s reception at the St. Regis Monarch Bay was based on a restrained palate of ivory with bursts of color in the flowers. 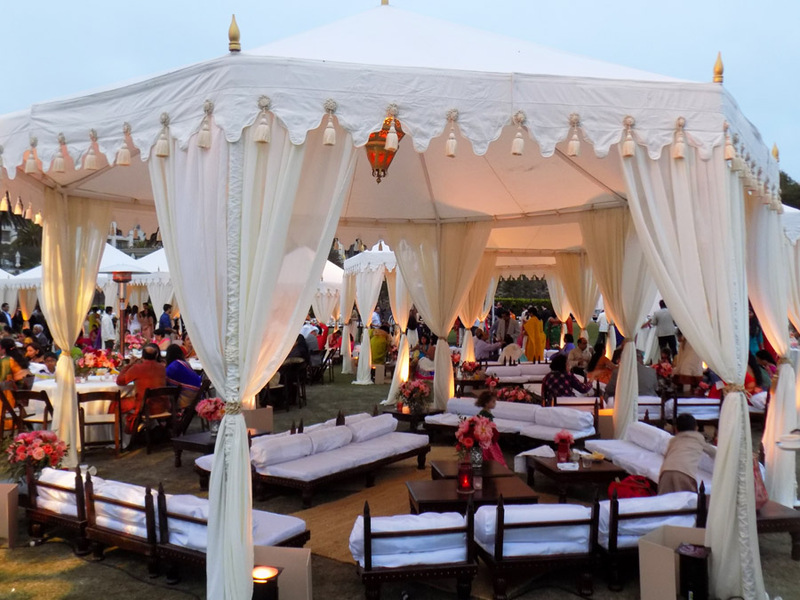 Raj Tents installed 9 x 20’ diameter Grand Pavilion tents in groupings of three around the central dance floor, so guests could mingle and sit either on Raj Tents’ lounge furniture or standard seating arrangements. 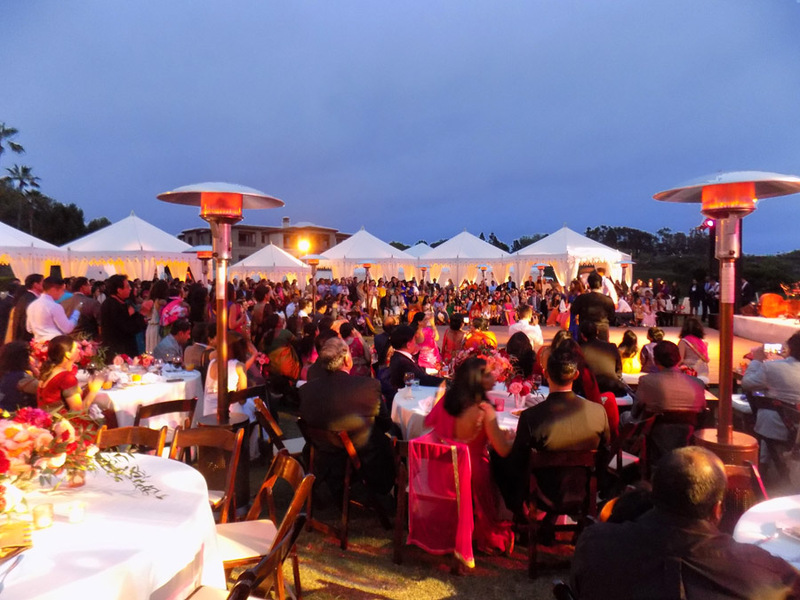 One thing you can always count on at an Indian wedding is that the guests will bring lots and lots of color with them, and the wedding guests brought all to life with their finery. Thank you to Jeannie Savage of About Details Details Weddings and Events for pulling all together.